UFO SIGHTINGS DAILY: Roman Or Nasal Relic Found On Mars This Week, July 5, 2016, Video, UFO Sighting News. Roman Or Nasal Relic Found On Mars This Week, July 5, 2016, Video, UFO Sighting News. This is a fantastic discovery by Paranormal Crucible of Youtube. He went to a lot of work both finding it, and showing us what it may have looked like when it was new. Is this a head of a statue, or a head of a living being thats been hacked off at a moment of war? Or perhaps AI robots, guardians of sorts. Just like the fallen king of Mars, this ones face is oddly not facing out, but instead is sideways to the ground it sits upon, as if fallen over. Lots to think about here. 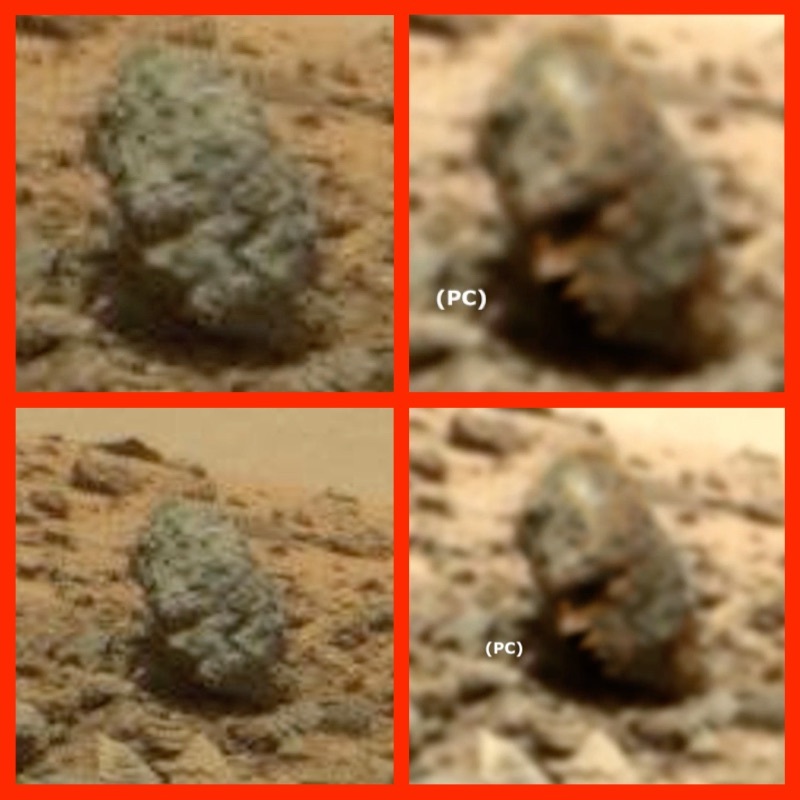 Interesting relic I found in the Curiosity Rover archives, this one looks like a statues head, possibly roman inspired or very similar in design. Even without any processing or enhancement this relic stands out in the raw image, and in my opinion its definitely not a regular rock. Will post HQ image on my Facebook page so you can reference it with the original raw NASA image, all the features and elements are there.